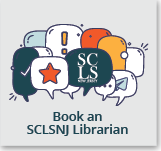 Want more information about business resources and services at SCLSNJ? 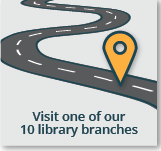 Want to meet one-on-one with a business librarian? 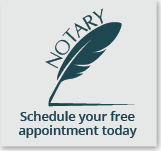 Email business@sclibnj.org or connect with us on LinkedIn. American FactFinder — National, state, and local population, housing, economic, and geographic data from the US Census Bureau. Business Source Premier — Magazine and journal articles covering all disciplines of business, including marketing, management, MIS, POM, accounting, finance and economics. Mergent Online — Comprehensive business, industry, and financial information and reports on nearly 2,000 top industrial corporations listed on the New York Stock Exchange, the American Stock Exchange, and regional U.S. exchanges. Morningstar — Research and analyst reports for company stocks, mutual funds, exchange traded funds, markets, and portfolio tools and calculators. The New York Times — Online edition of the New York Times. Includes today’s issue and previously published articles. **This resource is only available in the Library on a Library computer or using the Library WIFI network. Regional Business News — Covers business journals, newspapers and newswires from all metropolitan and rural areas within the United States. Small Business Reference Center — A comprehensive resource for small business owners and those interested in starting a business, offering full-text business magazines and reports, sample business plans, U.S. tax forms, videos and reference books on all areas relevant to business. Standard & Poor’s NetAdvantage — Offers access to some of S&P’s most popular investor information products including Bond Guide, Investment Reviews, Industry Surveys, Mutual Fund Reports, The Outlook, Directors and Executives, Stock Guide and Stock Reports. Thomas Register of American Manufacturers — Includes company and product information for US and Canadian manufacturing companies and the industrial, food services, and retail segments of the food industry. Value Line — Investment information, analysis, and tools including the Value Line Investment Survey. Wall Street Journal — The latest coverage of business, politics, entertainment, sports and more through the WSJ Digital Package. 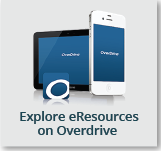 **This resource is only available in the Library on a Library computer or using the Library WIFI network. Weiss Financial Ratings — Weiss Financial Ratings combines the strength of Weiss Ratings and TheStreet Ratings to offer a single source for financial strength ratings and financial planning tools covering Insurance, Banks, Mutual Funds and Stocks. Office on the Go - Our 10 branches serve as an “office on the go” for a wide variety of business professionals. The librarians at the Somerset County Library System recognize the importance of the entrepreneurial spirit to the nation’s economy. By creating The Business Center at Warren, SCLSNJ hopes to help support the aspirations of the small business owner and business professional. The Business Conference Room — a dedicated conference room complete with projector screen and white board which can be reserved for free for meeting with clients, staff training, and collaboration with business partners and vendors. Interested in reserving this room? Read the guidelines (either link to separate page listing or pop-down box to reveal guidelines).